When the astronauts aboard the International Space Station bring in a soil sample from Mars, they discover a unique single-celled organism that presents the first proof of life on the Red Planet. Exobiologist Hugh Derry (Ariyon Bakare) starts experimenting with the creature, who gets to be named Calvin, and tries to form a bond with it. But the rest of the small crew of scientist and doctors, including Rory Adams (Ryan Reynolds), Miranda North (Rebecca Ferguson), David Jordan (Jake Gyllenhaal) and Ekaterina Golovkina (Olga Dihovichnaya), take a more cautious approach. Sure enough, as Calvin starts mutating and evolving, the creature starts to pose a unique and terrifying threat to the crew, and eventually gets loose to wreak havoc upon them. Directed by Daniel Espinosa, Life is a stripped down thriller that makes the most of its contained setting and limited characters, and succeeds in terms of delivering solid special effects. The actors appear to float in zero gravity, with the camera often following them in long, fluid takes, as the notably versatile creature design changes from scene to scene to keep the threat posed by it feeling unpredictable. The ensemble cast is uniformly good, working from a lean script that whittles things down to the basics. The biggest drawback to Life is that it can’t help but feel somewhat derivative of any number of other films, most notably the Alien franchise, and it also doesn’t develop its largely stock characters enough to leave a huge impact beyond the surface thrills. But what’s on the surface is still suitably suspenseful to watch if all you’re looking for are some basic thrills. This is a decent science fiction thriller, that gets by on solid special effects and is pretty entertaining on its own terms. The Blu-ray also includes a selection of deleted scenes, the three solidly done featurettes Life: In Zero G, Creating Life: The Art and Reality of Calvin and Claustrophobic Terror: Creating a Thriller in Space, as well as some brief Astronaut Diaries featuring the characters. 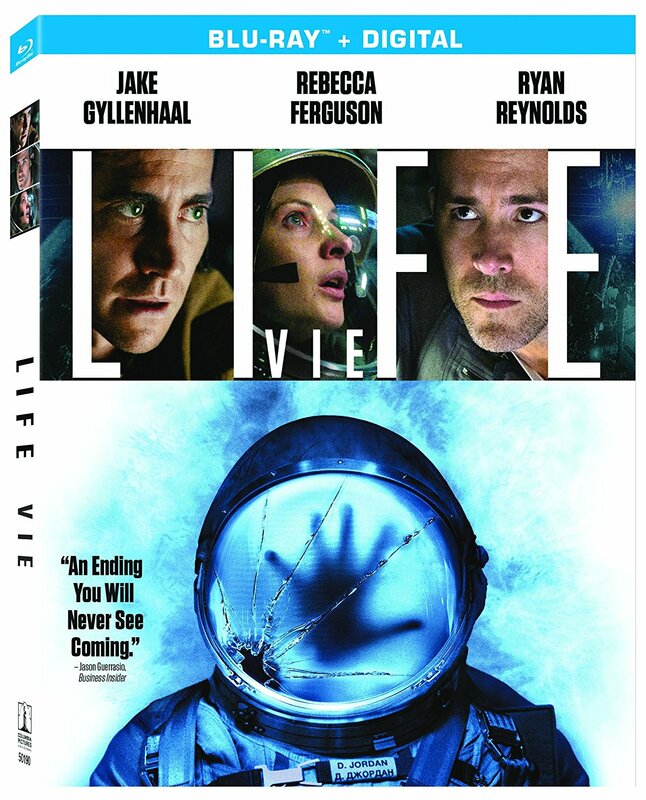 Life is a Sony Pictures Home Entertainment release. It’s 104 minutes and rated 14A.